Carter Weston seeks to find Nyarlathotep, whose name is feared across Europe. Carter is scared as well, but knows what he must do. Then Carter seems to disappear, and is presumed dead. 1933 rolls around, and in steps his daughter Rachel, accompanied by Henry Armitage. It becomes their mission to search for Carter. Using Carter’s journal, Henry and Rachel begin their quest. It turns into a race against time with The Old Ones. And in this book, time not only spans decades, but centuries. Brett J. Talley’s He Who Walks in Shadow goes on a wild romp with different characters’ journals through various periods in time. It goes from 1933 to WW II to 1875, and even goes as far back as 1567. I normally do not like writings that are in a journal or diary format, but Talley is able to successfully pull it off with He Who Walks in Shadow to a point where even Skeptical Me enjoyed the book. Shadow contains delicious depth and has great character development. Shadow contains beautiful prose, a bit 1800s-style, but so descriptive that it reads almost like poetry. I see a lot of similarities to Lovecraft and Poe’s styles, which is high praise indeed. There is horror in this book, but mostly it is geared to those who love Mythos. It almost goes into mini-stories within stories, because the writing is complex. 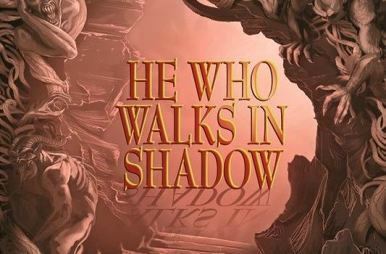 He Who Walks in Shadow is a sequel to the Bram Stoker Award-nominated That Which Should Not Be. I normally don’t like to begin with the second book in a sequel, but in this case, it can be done because Shadow seems to stand on its own. I was never confused and could follow the storyline without needing references to book #1…although, after reading He Who Walks in Shadow, I feel inclined to purchase That Which Should Not Be just for the experience of once again enjoying Talley’s unique writing style. All in all, if you are okay with the journal and diary format, and voraciously read Lovecraft and Poe, then I recommend this book. He Who Walks in Shadow is not just a book, it’s an experience. 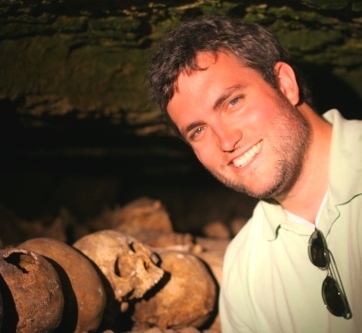 A native of the South, Brett J. Talley received a philosophy and history degree from the University of Alabama before moving to witch-haunted Massachusetts to attend Harvard Law School. When people ask, Brett tells them he writes for fortune and glory. But the truth is the stories in his head simply refuse to stay put. Brett loves every kind of fiction—from horror to literary to historical to sci-fi—as long as there are fantastic characters with a compelling purpose. Since his first novel, That Which Should Not Be, was a Bram Stoker Award finalist, he has contributed to Limbus, Inc. and edited Limbus, Inc. II, and published the sci-fi thrillers The Void and The Reborn. 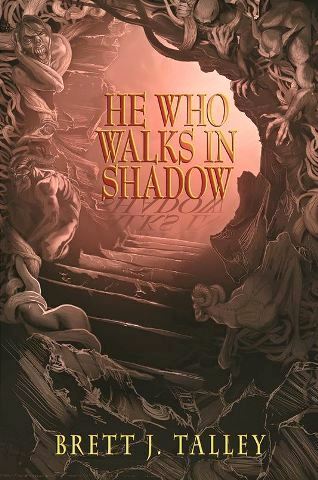 His most recent release, He Who Walks In Shadow, continues the story of Carter Weston as he battles against Lovecraftian entities bent on conquering the world. Brett can be found online at www.brettjtalley.com. Jeani Rector is the founder and editor of the award-winning ezine The Horror Zine and is the editor of five anthology books. She has had her stories featured in magazines such as Aphelion, Midnight Street, Strange Weird and Wonderful, Dark River Press, Macabre Cadaver, Ax Wound, Horrormasters, Morbid Outlook, Horror in Words, Black Petals, 63Channels, Death Head Grin, Hackwriters, Bewildering Stories, Ultraverse, and others. 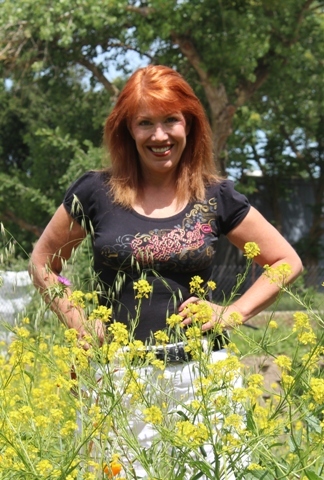 Her historical fiction novel about the black plague titled PESTILENCE: A MEDIEVAL TALE OF PLAGUE was released in 2012 from The Horror Zine Books.